Welcome to GlenWyvis. Our sustainable, community-owned distillery makes the finest Highland single malt whisky and GoodWill craft gin. GlenWyvis is a pioneer of sustainable distilling; wind, hydro, solar and biomass energy power our operations. Uniting the community of Dingwall through the creation of a distillery owned, in-part, by local people. Crafted to unite. Made to share. Our perfectly blended gin has been created to appeal to individuals and communities alike. Savour it, live in the now, and share the moments that matter. Nestled beneath the sprawling mass of Ben Wyvis mountain in the Scottish Highlands, GlenWyvis Distillery was established in 2015. But the story doesn’t start there. Discover our products and find a host of options, from individual bottles to gift sets. By investing in the distillery, you become an equal owner of it. It becomes your distillery. And we’re democratic. 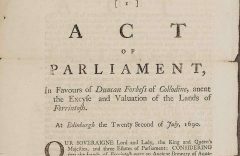 No matter how many shares you buy, you have an equal vote and an equal say in the distillery’s future. Across the Cromarty Firth from Dingwall, the famous Ferintosh Privilege is granted to local landowner Duncan Forbes. He is allowed to distil whisky on his land duty-free. 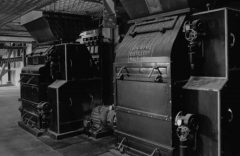 Dingwall ironmonger, agricultural merchant and town Baillie D.G. 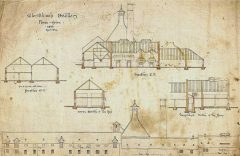 Ross builds Ben Wyvis Distillery. It takes 90 men nine months to blast away the Dingwall hillside to make way for the site. 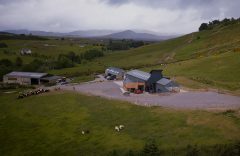 Glenskiach Distillery opens in Evanton, a few miles north of Dingwall. 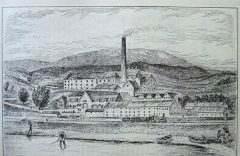 The distillery was designed by famous distillery architect of the Victorian age, Charles Doig. 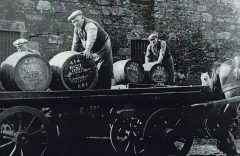 As a result of global economic depression, both Ben Wyvis and Glenskiach distilleries close. Glenskiach is soon demolished, however Ben Wyvis remains standing until the 1990s. Invergordon Distillery starts distilling Ben Wyvis single malt whisky within its grain distillery complex. Most of the single malt goes into blended whiskies. 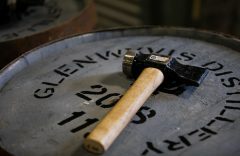 A crash in the US economy impacts the Scottish whisky industry and Invergordon ceases production of Ben Wyvis. The stills are later repurposed by Glengyle Distillery in Campbelltown. GlenWyvis Distillery in Dingwall is established. 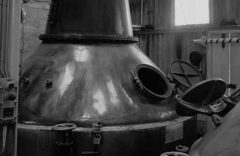 Founder John Mckenzie was inspired by the area’s rich whisky history, and embarks upon raising local support for the project. GlenWyvis launches its first share offer, which raises £2.6 million in 77 days. 2,200 people invest in the project, breaking records and making national headlines. Construction of the distillery begins. GlenWyvis opens its second share offer, and 1,000 more people invest in the project. 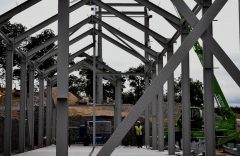 The distillery build is finished in November, and Duncan Tait joins the team as Distillery Manager. 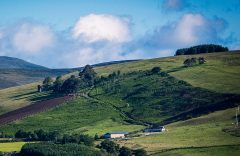 GlenWyvis Distillery starts both whisky and gin production. GlenWyvis Whisky is laid down in casks, and GoodWill Gin enters the market. 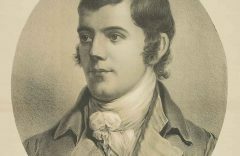 HAPPY BURNS’ DAY – THE FIRST ANNIVERSARY OF THE VERY FIRST GLENWYVIS WHISKY RUN! Wow! We have hit (and surpassed) our £1.1M @crowdfunderuk share offer target!! MARKING OUR 1ST ANNIVERSARY WITH TARTAN & WHISKY UPDATE – WELL IT IS ST ANDREW’S DAY! SHARE OFFER ENTERS FINAL MILE AS WE PASS £900,000 & RAISE A GLASS OF CHRISTMAS GOODWILL TO YOU ALL! We’ve set up shop at the Clansman Hotel on the banks of #LochNess for the summer season! We’re handing out tasters and giving visitors a virtual tour of our distillery too!